Experience the ultra-realistic operation and handling of this gas blowback M4 from CAA. Its function, construction and disassembly closely match a real M4 carbine. And the blowback will provide the operator with satisfying recoil while shooting the gun. 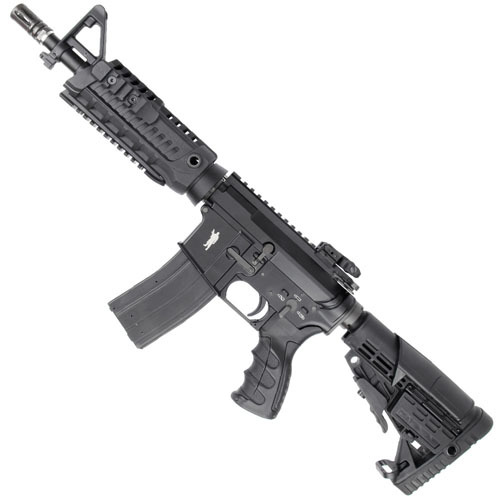 This is a full metal constructed GBB equipped with the Light Weight Nylon Fiber M4S1 Picatinny Rail system. 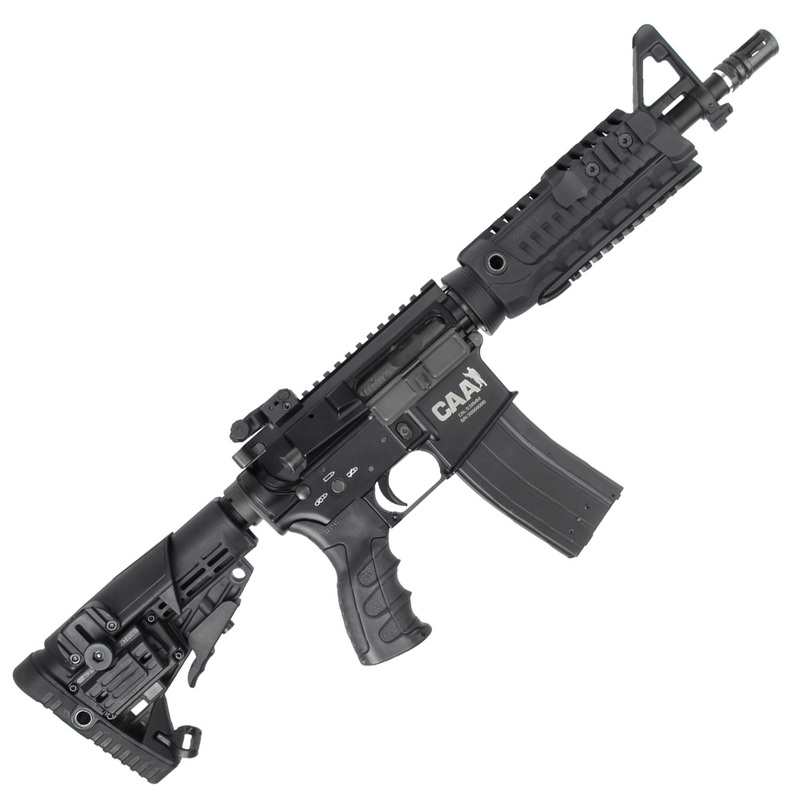 The official CAA trademarks and unique serial number is laser engraved on the metal receiver. The ergonomic pistol grip provides great comfort and better grip. The nylon fiber collapsible buttstock can be set to 6 different positions. There is a storage compartment in the stock for 4x CR123 batteries. The adjustable cheek rest installed on the stock's side rail can be removed to be replaced with other accessories.